New York is one of the world’s most iconic fashion capitals. Department stores abound and there’s a chic boutique on nearly every corner, but with so many options, figuring out your own personal style may not be so easy. Plus, who has the time? Sterling Luxury Group is an expert in this department. Our New York Image Consultant services can help you with everything from conducting an executive image consultation, to personal styling, and personal shopping. Whether we like it or not, people judge us based on our appearance and you only have15 seconds to make a great first impression. Our image consultant services begins with our time tested Revise + Revamp + Revitalize Style Process. First, we go over the details of your lifestyle and personality, then we discuss your style goals and any challenges you may have. Then, we work closely with you to determine your individual style according to your needs including personal styling and personal shopping. Your executive New York Image Consultant will guide you on how to look your best in every situation, mastering the art of personal styling, and helping you to transform your image and your life! You’ll learn how to select clothing that suits your body type and style personality as well as shopping techniques for building a wardrobe that works for you and your lifestyle. The first step of the process is an Image, Fashion & Style Review that will help determine what body type you have, identify your best features and explore what clothing styles best highlight them, and analyze which color combinations work for your personal coloring. This consultation allows your New York Image Consultant to develop a concept and strategy to “revise” your signature personal style. During the “revamp” part of the process, you will learn how to recognize what is essential to your personal style. Your New York Image Consultant will walk you through reviewing and editing your wardrobe, advising you on what to keep and how to spot unflattering or outdated items that should be discarded. The Revamp is all about discovering what suits you and your style, learning what length or color looks good on you, and what type of clothing accentuates your best features. Studies show that people wear only 20% of the clothes in their wardrobe 80% of the time. With an expert “revamp”, your wardrobe will be uncluttered, with plenty of fresh, attractive looks at your fingertips – all designed specifically for you. Not only can this part of the process be eye opening and cathartic, it can be fun and really help you get out of a fashion rut. After your New York Image Consultant has completed the Fashion & Style Review to develop a strategy for revising your look and has worked with you to revamp your wardrobe, you will move on to the next phase, our Personal Shopping & Style Revitalizing services. Knowing how to find the pieces you need to create a perfect look that flatters your body is essential to defining and refining your signature style. Avoid wasting time and overwhelming yourself with rack after rack of the wrong items. With a personal shopping excursion tailored to you and your needs, you’ll learn which brands and trends match your style personality and body type. 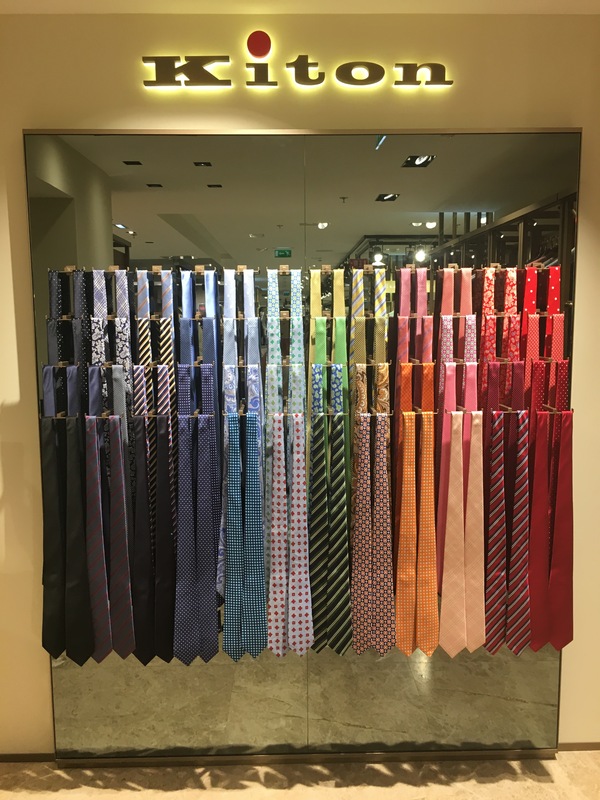 Your New York Image Consultant will guide you in making smart purchases that fit you correctly and enhance your unique identity as well as your existing wardrobe. As you continue to develop your signature style, you’ll become more and more comfortable styling yourself for everything from business meetings, black-tie events, or a casual night out with friends. For those of you that would like to simplify the process even further, our VIP treatment option provides a Personalized Style Guide created by your New York Image Consultant. You’ll get a customized look book filled with personalized ensembles for a variety of occasions that reflect your unique style and personality. The Personal Style Guide is filled with color photographs and details to ensure you can recreate each look properly and easily. It will also serve as a reference to help you begin styling yourself as you hone your own skills in playing with new textures, color combinations, and patterns. With your own Personal Style Guide, you’ll be able to create your own flattering looks that complement your body type, personal coloring, and unique style. Having confidence and comfort in what you look like and how you present yourself is one of life’s necessities. Sterling Luxury Group’s Revise + Revamp + Revitalize Style Process teams you with a New York Image Consultant to help you define and evolve your own signature style by transforming your image by changing the way you view yourself and showing you how to embrace your body type and finding ways to highlight your natural assets through style, color, and texture. Learn how to create the image you want to present to the world. Start loving your wardrobe again with a closet full of clothing curated just for you; that fits and suits you perfectly. Learn how to incorporate the latest trends into your own personal style. Begin the process now, with Sterling Luxury Group’s New York Image Consultant! We offer Online Personal Stylist and Online Personal Shopper services too. Sterling Luxury Group redefines the meaning of living a luxury lifestyle. From helping you select the perfect home through Sterling Luxury Homes, to refining the finishing touches of your interior décor through Sterling Home Styling, to styling you from head to toe through Sterling Personal Styling, let us redesign and restyle your life. We are Global Image Group‘s luxury lifestyle makeover image stylists in real estate, interior decor, and personal styling in New York, Miami, L.A. and Dubai.